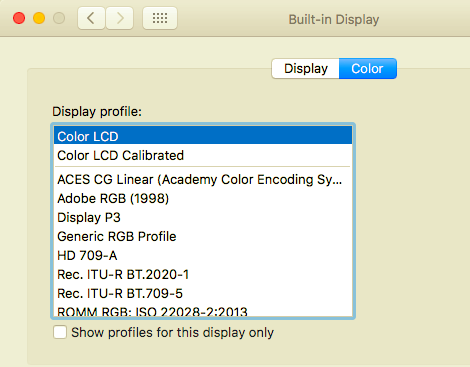 Screenshots and screencasts taken on my Macbook Air (Sierra 10.12.2) have a yellowish tint to them which doesn't match the actual display output on the screen itself. It's very odd. You get the idea. Something is adding yellowness to my screenshots. 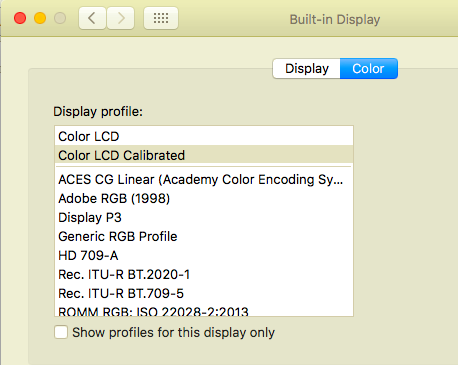 With the last one selected, Adobe RGB, all the screenshots look okay on my screen, but everything else looks tinted blue and they still look yellow to everyone else. 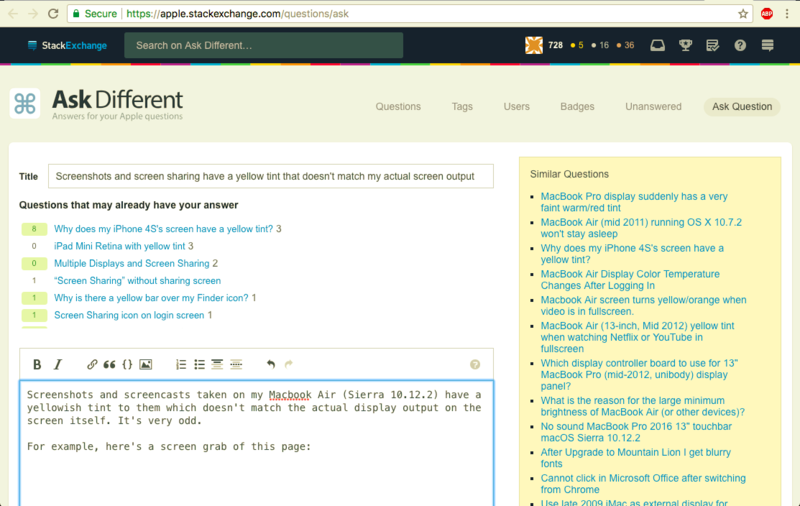 The same thing happens if I share my screen - people I'm sharing my screen with say "Why is your screen so yellow? ", and I have no answer for them. What could be modifying the screenshots and screen shares in this way, and how can I stop it doing it? 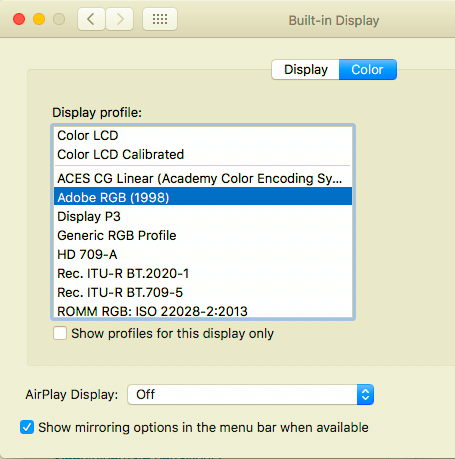 Browse other questions tagged macos display sierra screen-capture color .